400g of Flathead or any white fish fillet skin removed, Chopped into 1 cm cubes. 4 tablespoons of Ranchero chipotle sauce. 1 bag of Ranchero corn chips or Tostadas to serve. 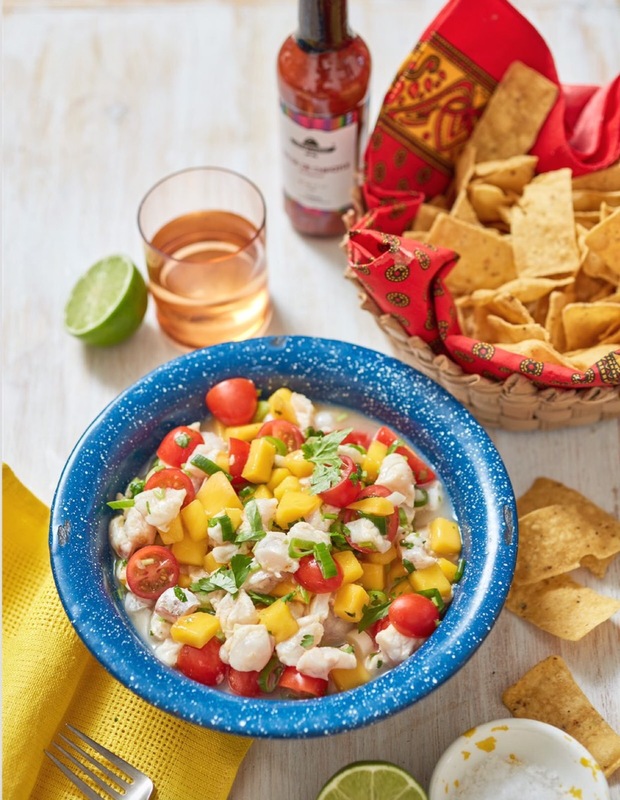 Place the fish in a glass bowl and pour over Ranchero Chipotle salsa, lime and orange juice. Cover and refrigerate for 1 hour. Add the rest of the ingredients and mix gently. Seve immediately with Ranchero corn chips or with Ranchero Tostadas.